It is going to be difficult to know what to choose this month! We will be on two sides of the river and two very different areas, Chelsea and Battersea roughly between the two bridges Albert Bridge and Battersea Bridge. Start Meeting 11:30 Albert Bridge by the river (western end) on the Chelsea side. See map link here for exact location. To get there use the TFLwebsite, here, as there are various buses that get you there but the fastest route will depend on your point of origin. Exploring the embankment - there amazing buildings and history along Cheyne Walk and the Chelsea embankment. Sketching Views of bridges and the southern modern Riverside. Lunch time 1:30 pm at the Battersea Park Buddhist pagoda - Great spot for a group photo. 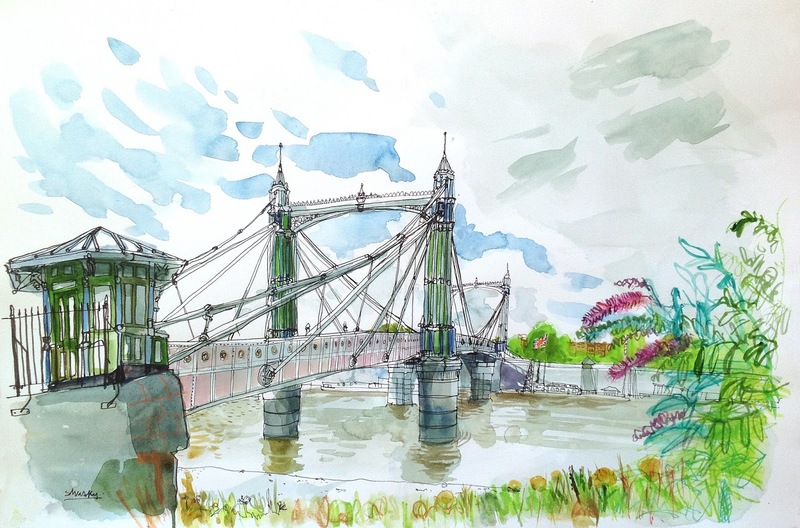 For lunch - Bring a picnic, grab a tea on the park kiosk or have a bite at The Prince Albert on the Battersea end of the Albert Bridge. note: If the weather is bad we can retreat to the Doodle Bar early and draw there, or visit the Royal College of Arts at Battesea Ground floor Galleries. Thanks to Swasky for letting us use his image this month! 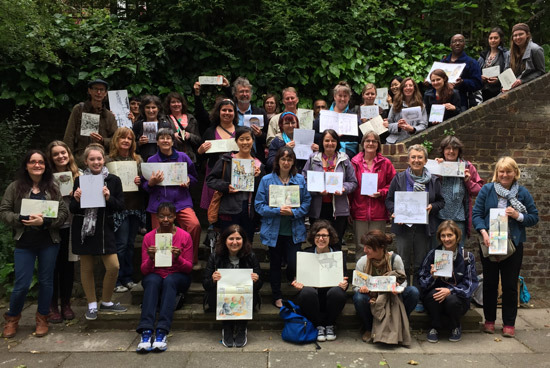 In November this year, London Urban Sketchers will be having an exhibition of sketches of London in the third - and brand new - Timberyard in London - and will also have an extra sketchcrawl associated with the opening of the new exhibition. 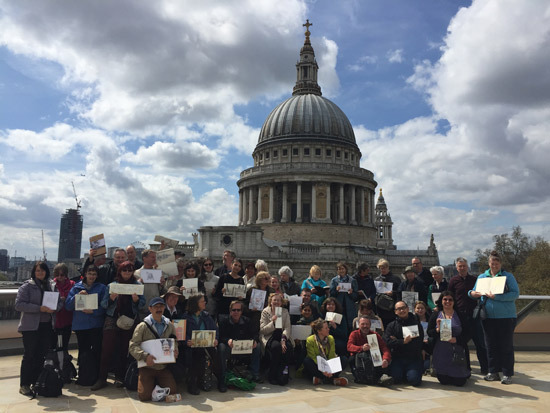 Tomorrow we will publish the detailed Call for Entries from active members of London Urban Sketchers and detail how the process will work. So make sure your Flickr account is up to date with all your best sketches! 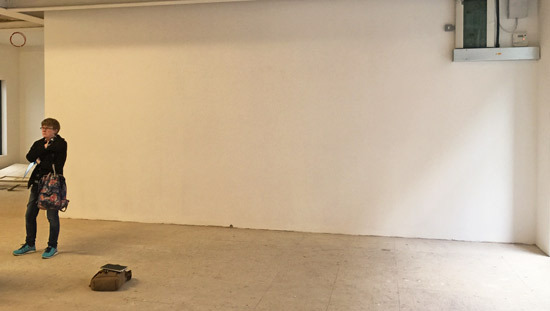 This is the wall we will aim to cover with sketches. We're finding out in the next few days how much space we have now the fittings are being installed into this new space. The exhibition wall - Evelyn is in there for a bit of scale! We'll be having a Preview Party - probably on 3rd November - and hope that you can all come to that. We'll be confirming the date nearer the time. 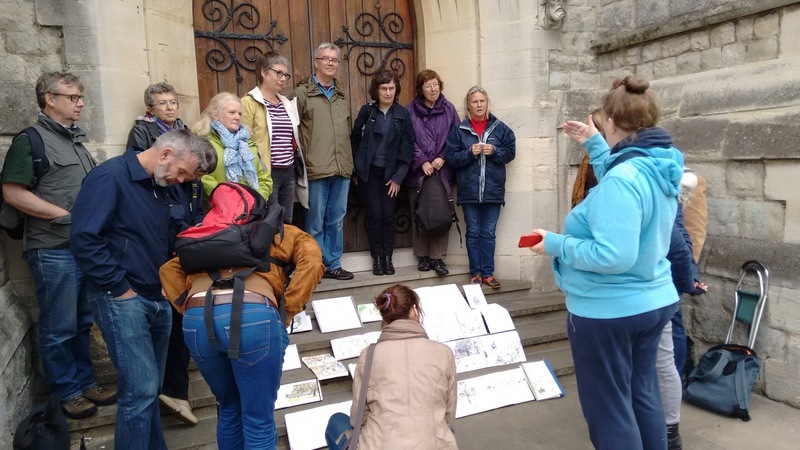 ...and have arranged a special sketchcrawl associated with the exhibition - starting and and finishing at Timberyard - on Saturday 14th November. 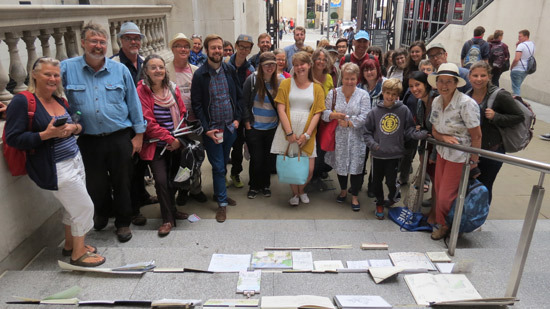 We think we'll make this one a shorter sketchcrawl than usual and will start at 11am and finish at 2pm - but of course you can start even earlier and finish later if you want. So put that in your diaries. So we hope you like the idea of the exhibition and a sketchcrawl - and we'll fill you in on more details about the exhibition tomorrow. 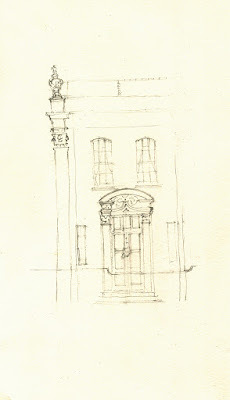 I've been away on my holidays recently so I didn't get chance to scan my drawings from the last sketchcrawl until now. Thanks to all those who came to the Blackheath sketchcrawl - the weather wasn't too promising but it stayed dry, if a little chilly, and there was even some sunny spells. It was also nice to meet new people and get the chance to find out a bit about everyone, which can be difficult sometimes when it's a larger group. 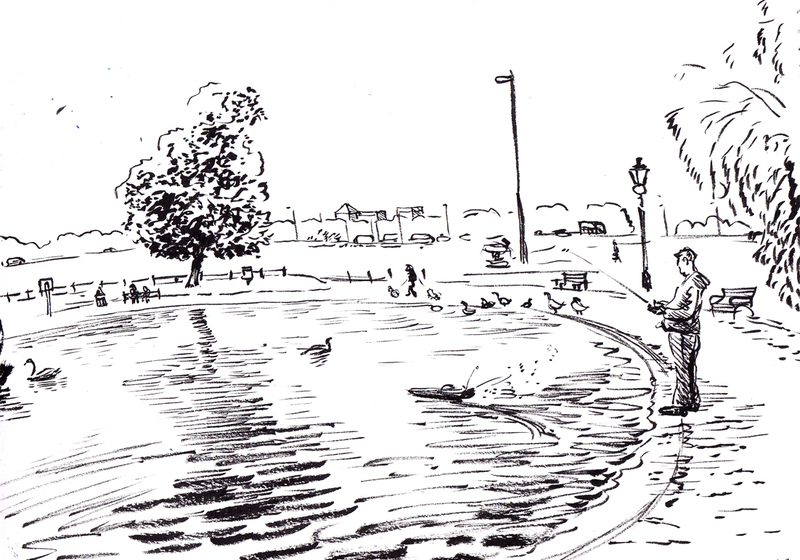 Blackheath is such a big, flat, open space that it can be quite challenging to capture on the page. 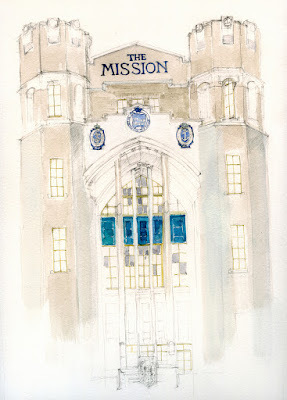 Instead I tried to focus on details or look at the architecture. 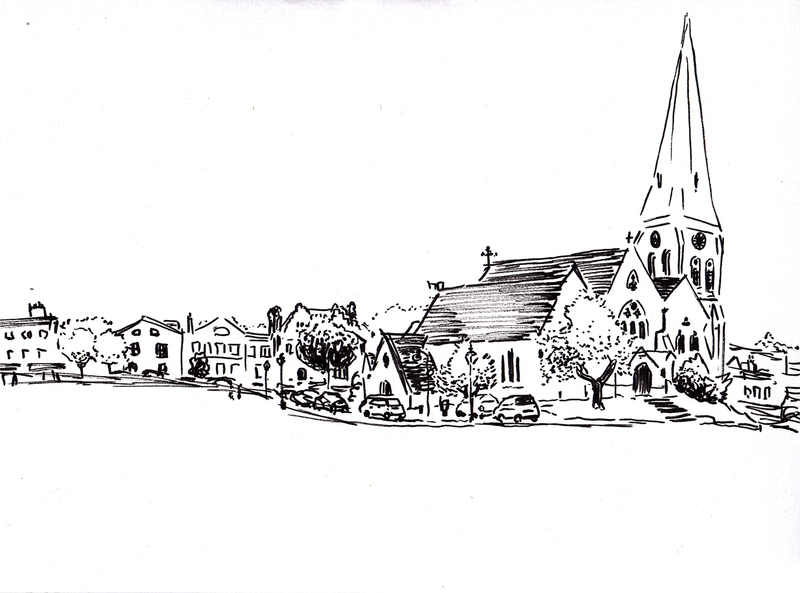 There's also still a nice village feel to Blackheath, but on a slightly grander scale. 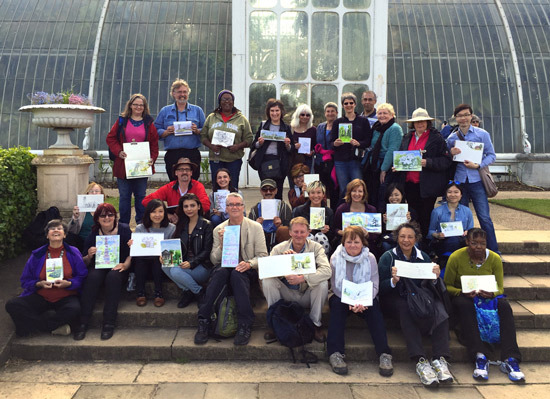 During the course of the day we had about 25 sketchers - special thanks to those who came from outside of London! 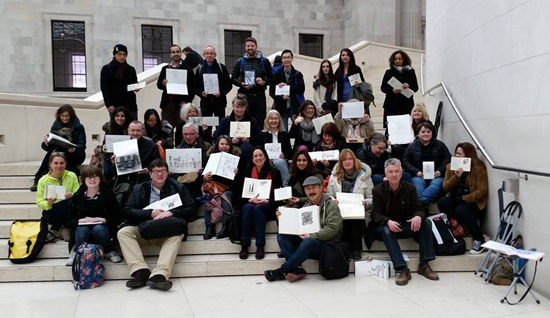 As ever, if you want to share your drawings from the day, you can find the London group pool over at Flickr. Now that summer is over it's only going to get colder, so make sure you wrap up for the next one, in Chelsea, on the banks of the Thames. 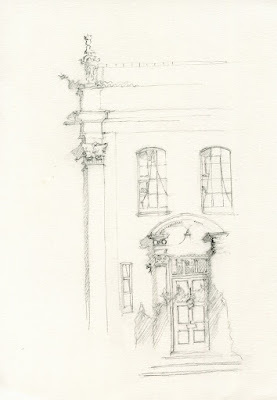 Personally I'm looking forward to sketching the Royal Chelsea Hospital, which is an amazing building, founded in 1682 no less. is the original name for what is now known as Hurst House, Woodford Green. There is more to it than this but getting my pencil down in the right place to start off with, isn't one of my strong points. Believed to have been a Hawksmoore piece, it was built in 1714. 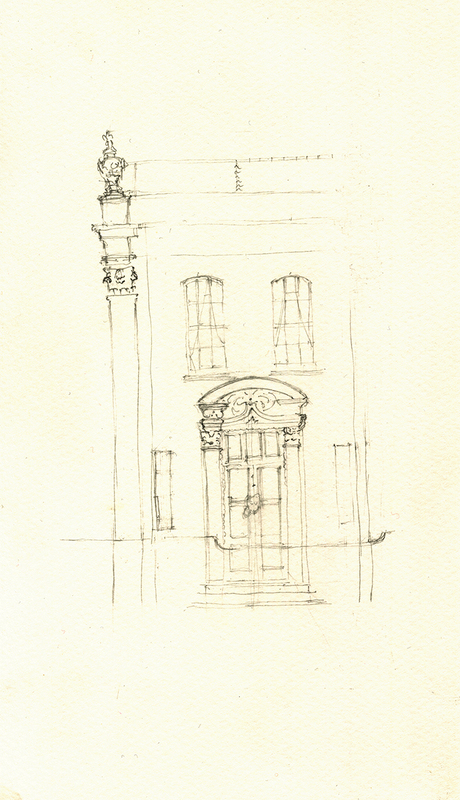 Anyway, it is very grand and the doorway is particularly attractive, which is why I drew it - twice. The Mission at 747 Commercial Road, Limehouse. Built for surviving sailors from the Great War, its facade is the most dramatic thing on the A13. I sat on one of the large red granite rocks grouped on the traffic island in front, next to an extremely large anchor. On a bright day with a flask of tea and my sunglasses, it was almost like being on the beach. 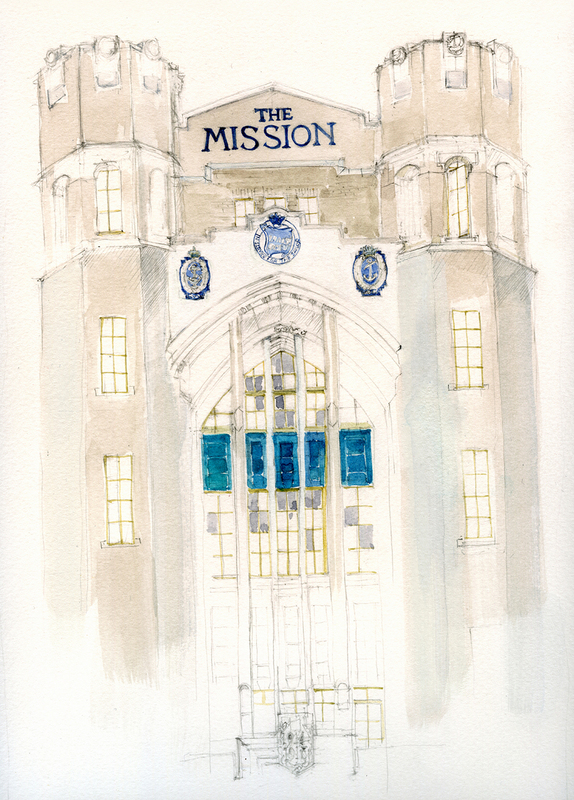 Hello everyone - here are the details for Saturday's coming sketchcrawl. Meet 11.30am - in the car park next to Blackheath Railway Station. For most people, the train or car will be the best way to arrive into Blackheath, so this seems the easiest meeting spot - it's not normally too busy, but just look for the people clutching sketchbooks. If you're coming from Central London then it will be immediately adjacent to the platform you alight from. If coming in from further South, then you'll have to go up the stairs to cross over. What with the bank holiday weekend just gone, I'm sure I don't have to remind you to bring an umbrella, but still, this being England, it's good to expect the worst. It might be rainy, it'll probably be cold and a bit windy. Blackheath tends to get lumped in with Greenwich because they're so close, but there's actually plenty to explore by itself. However, for those who haven't already seen it, it would be worth the walk over to Greenwich Park on the other side of the heath, for the city skyline view from the Royal Observatory, simply because it is magnificent, and if you're an animal lover, there's also the deer park. 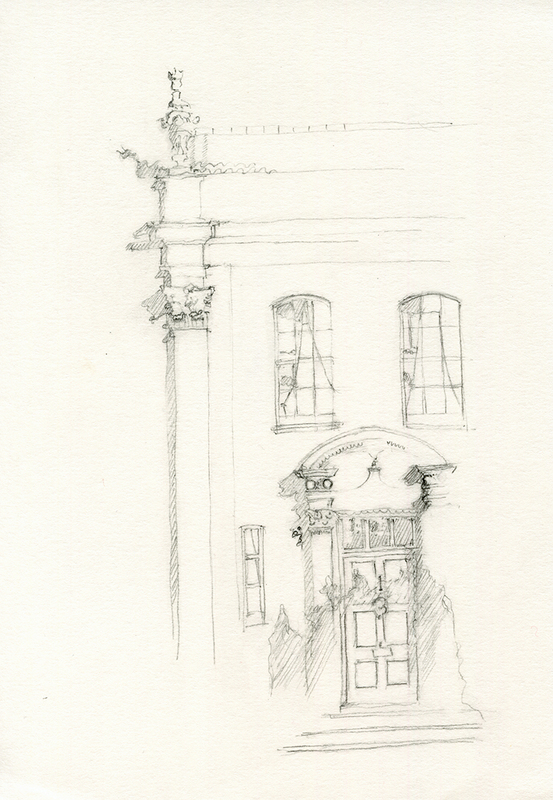 If the weather proves too much, there's plenty of coffee shops, pubs and tea rooms to sit in and sketch some people or interiors. Braving the elements there's the heath, with lots of interesting views, kite flying, and the dramatic solitary presence of All Saints Church. I also hope to show you some of the less obvious sights, including a few impressive vistas and intriguing architecture hidden down some of the side roads in the area. 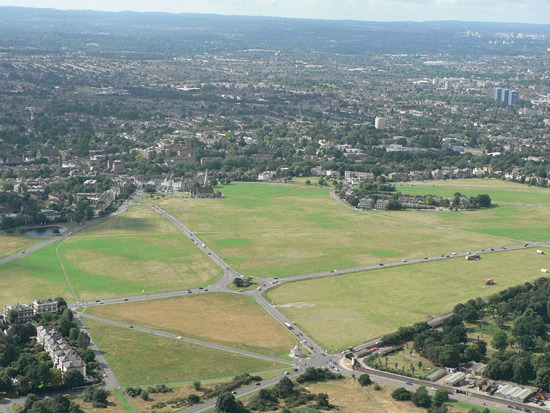 Lunchbreak will be at the Princess of Wales, overlooking the Heath, at 1.30pm. Family friendly and spacious, with a decent pub food menu, however don't feel obliged to eat lunch here; if you prefer you can find somewhere else or bring your own to eat on the heath should it be sunny enough, this is merely a gathering point for those of you who want to, with outside and indoor options. We will end outside All Saints Church at 4pm, for a chance to show sketches, catch up and take some photos. As always, the event is FREE and open to all, don't forget your pencils!